Happy New Year Everyone!! I am wishing all of you a year filled with love, good health, and tons of laughter. At our home, I get excited for all of the new and wonderful things that will happen for our family, and I also reflect and thank God for all of the past blessings from the previous year. And then ….. I get into “CLEAN UP” mode around our house – LOL!! I start going through cabinets, closets, and drawers like a crazy madwoman. I begin making mental notes of what needs to go, what needs to stay, and then what needs to get organized. Nothing is safe – really – not even my husband or girls – JK!! So, who is ready to…. Get House Organized: Top Ten List. These 10 items are a must-have at my house, and therefore my Top Ten Picks for house organization. The only one that I do not own yet is the lazy susan #8, but it is on my list to purchase asap!! ***TIP***Even though you think an item is for a kitchen, a closet, etc….. don’t let that distract you. Just because it says “shoe rack “or “shoe bin”, doesn’t mean you have to use it in your closet. (see my #9 and #10). I use shelf paper in ALL of my cabinets and drawers -period. It is first on my list because it is a life-saver for the bottoms of all drawers and cabinets. 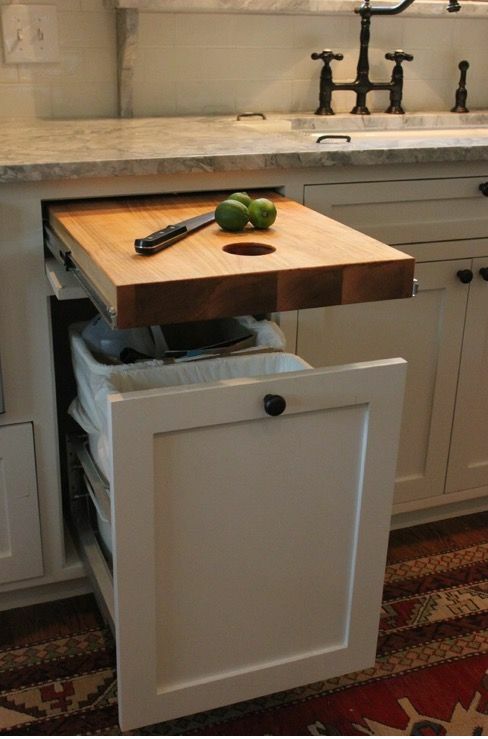 Over time, cabinets and drawers get scratched with pans, utensils, laundry detergent, etc…. so why not protect it before it happens. Here is a picture of it – yep- even my spice rack get its! Now YES it IS a little time consuming to install and does cost a little money. But definitely less expensive than having to repaint all of the cabinets in your house just because they look dinged up and dirty. Plus, shelf paper helps with spills or drips from household cleaners, wet sponges, makeup, etc…. so that it doesn’t destroy your wood. Use different patterns in different rooms for fun, or keep the pattern universal for your entire house. Click Adhesive (pictured) or Non-Adhesive. I use small containers to group things together so that they don’t roll around or damage the shelf liner. I love these little white containers (they come in different sizes) to keep all of my makeup, toothbrush/toothpaste, jewelry, glasses, etc…. organized. They also connect to each other which helps them from sliding around your drawer – love this! If you prefer acrylic containers over white, I have linked those as well below. I also use these containers in my kitchen to organize extra batteries, tools, nails, etc….. for the same purpose. They help keep batteries from rolling around, and help me keep all of my tools (screwdrivers, wire cutters, etc…) all in one spot. These containers are sooooo versatile!! They come in different sizes, shapes, and also different depths to hold a large variety of household items. I use the more shallow containers for extra kitchen utensils like spatulas, potato peelers, wine openers, etc…. and the deeper containers for bulkier items like notepads, extra packing tape refills, furniture pads, rope, etc. They are perfect for under-the-sink item like cleaners, extra sponges, rubber gloves, etc. You could use these in the laundry room for clothespins or stain removal brushes or use in a playroom for kids art supplies or toys. Use them in the bathroom for extra toiletries or in the pantry for chips, paper towels. The possibilities are endless. I am constantly finding new ways to use these containers – now my girls are even using them!! They come in 5 stylish colors and an adorably cute weave pattern: white, black, gray, jade green, and beige. Click here 5-piece containers large (pictured below), 3-piece containers medium, 3-piece small, and individual sizes small, medium, and large cube. 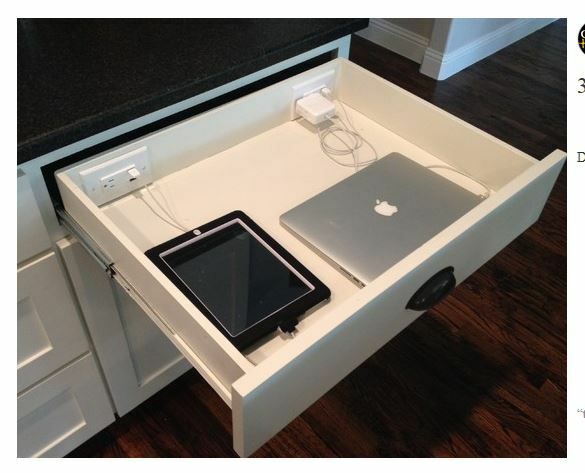 If you are looking for something to organize your “work area” in you kitchen or office, a divided container works best. This container has a place for scissors, tape, paper clips, stapler/staples, rubber bands, small notepads, whole punch, etc…. to keep everything in it’s place. I keep mine on the top drawer for easy access, and make sure all of the items stay in their individual compartments. The same concept is essential for keeping silverware organized. I have been using a metal one (personal preference) for awhile now, but I linked some that are plastic, metal, bamboo, and also expandable. I could not live without one of these divided containers for our utensil drawer. I use metal baskets in my pantry to store items into groups, to eliminate extra clutter, and to help save money when shopping. For some reason, I have a hard time with plastic packages (like pasta bags, chip bags, rice bags,) or anything that is “loose” in structure!! YEP – someone call in an OCD therapist for me – lol! For real!! ha! It is so much easier to put several packages into a basket or tub so that they stand upright (for easier viewing) and also to gain more space in the pantry. I personally like the metal baskets (vs. woven baskets) just because I want to be able to see all of the contents. But the woven baskets tend to hold more items – just a FYI. Either way, using baskets will give the pantry a cleaner look and a more organized feeling. My silver metal baskets have been discontinued (I’ve had them over 10 years, cry-cry – sniff-sniff), but I found something similar below. I love these racks for can goods, snack boxes, and extra storage for dishes. They come in a variety of depths so that the more shallow depths fit better in the pantry, and the deeper ones fit better in kitchen cabinets. I personally used the silver expandable ones in my pantry so that I can double up on height. These allow me to keep all of the can goods in the same area, but I can store a ton on top and underneath this rack. The white ones I use in my kitchen cabinets to store corning ware, mixing bowls, pans, etc…. for the same reason. I can fit more items into a drawer or cabinet by using the space underneath the rack. You could also use these in your kitchen cabinets to store medications, bandaids, thermometers, etc…. so that you can see all of the smaller items. Or use them for spices, coffee mugs, or even keurig coffee pods. Again, these shelves are so versatile. There is always that ONE spot (or more) in your pantry or cabinets that just isn’t functional – right? No matter what you do, it’s a blind spot, or corner, or just plain tricky!! And it’s a complete waste of usable storage space- enter in the lazy susan. This little device is a genius, and really can be used almost anywhere in the house (fingernail polish- hint, hint). Use it for spices, cleaning supplies, arts/crafts – you name it. It will make your life soooo much easier….well your organizational life that is!! Leave it out on top of your counter also….you don’t have to “hide” it. This is definitely on my list to buy asap! I have been using these boxes for years, and years, and years -they are not just good for shoes!! They come in so handy for just about everything small. Use them to store craft supplies or kids’ art supplies (like acrylic paints, markers/map pencils, crayons) or use them in your sewing room for thread, scissors, and extra needles. You can also use them for extra toiletries like deodorant, lotions, hairspray, etc…. to keep items from falling over. Or use them for fingernail polish, polish remover, extra nail file, cotton balls, etc…. Once you have them, you’ll find hundreds of ways to start organizing items in your house. Plus, you can stack them – win-win!! I LOVE this little guy here!! He is not just for shoes and the closet!! If you have any cabinets if your house that have no shelving, or need shelving….this rack comes in soooo handy!! I use these racks in my laundry closet to store extras rags, sheets, and towels. I can roll up the linens so that they work perfect in the 2 smaller shelves, and then I can stack the other linens on the very top shelf. It’s like I have custom built-in shelving….and I don’t!! I also store my decorative vases, smaller knick-knacks, and books on these as well. In my kitchen, I put 2 of these racks back-to-back to make ONE large shelf over my ovens. This allows me to store all of my china and Christmas china in one cabinet. The smaller racks work perfectly for coffee/tea cups and also for stacked plates. Then I use the top portion for glasses and serving bowls. Pictured below is just ONE rack put into the cabinet. I can store so much more in here with the shelves, plus I can see everything when I need to rotate out my decorating accessories. Pictured below are the TWO racks put back to back over my ovens. These over-the-oven cabinets are built deep to allow for the depth of the oven space, so they are perfect for these shelves. Now, I can stack all of my China and stemware here. Need some kitchen inspiration? Click 12 Kitchen Upgrades (You Can’t Live Without) or 5 TIPS: Painting your Kitchen Cabinets White.